Colossians 1:13-14 He has delivered us from the domain of darkness and transferred us to the kingdom of his beloved Son, 14 in whom we have redemption, the forgiveness of sins. How powerful is the Word of God, and how powerful is even the definition of redeemed? 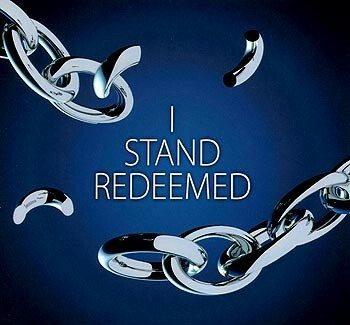 To surrender to Christ, to believe with faith that Jesus Christ died and rose for the sins of all who confess and repent, is to have already been redeemed. Whether I “feel” like it or not, I am forgiven and set free. The redemptive power of Christ, the atonement for our sins is a price paid in blood, a price that Jesus paid on the cross. This is not something we earn, need to strive for, can obtain through any other means than by His complete and perfect sacrifice. 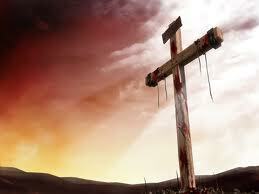 That is His promise to us, His forgiveness of our sins because of what He did. A life poured out so that we may live whole and free in Him. Thank you Jesus!!! This has been a very elusive concept for me to grasp deep in my heart in that since coming to Christ I realize more each day how short I fall in my walk and Satan is all too quick to attempt to use that against me. As more of myself is revealed to me about the truths of my behaviors of selfishness and self-preservation (and the longer my amends list grows) the more I come to understand grace and redemption are the free gift of God. It is His blood that directly washes away the shame of the past, the emptiness of broken relationships, eliminates the resentments over yesterday. If we will wake each day with the awareness that yesterday is gone and today has amazing potential with God at the helm and our eternity is secure we will have no choice but to experience joy, because true joy is only found at the foot of the cross. It is Him that we put our hope, trust, purpose and path upon. God’s promise of Justification through the sacrificial work of His only begotten Son is complete. His work is done. And we are free. Revelation 3:18 I counsel you to buy from me gold refined by fire, so that you may be rich, and white garments so that you may clothe yourself and the shame of your nakedness may not be seen, and salve to anoint your eyes, so that you may see. Whether we are a new Christian coming to recognize the incredible power in the blood of Jesus for the first time, or a seasoned cross-bearer who has grown weary, the deeper we experience restorative healing for the past, present and future sins that so deeply carve away at the image God created us in, the more profoundly complete our lives can become in the present. As a new creation in Christ we are not called to walk around with our head down broken in shame and sorrow, God tells us to life our head high and walk tall in Him. Romans 5:9-11 Since, therefore, we have now been justified by his blood, much more shall we be saved by him from the wrath of God. 10 For if while we were enemies we were reconciled to God by the death of his Son, much more, now that we are reconciled, shall we be saved by his life. 11 More than that, we also rejoice in God through our Lord Jesus Christ, through whom we have now received reconciliation. This entry was posted in Addiction, bible study, encouragement, faith, God's story, hope, Jesus, Recovery, Salvation, The Cross and tagged atonement, blood of the lamb, forgiveness of sins, grace, justified by faith, peace, redemption, Rejoice, The Cross. Bookmark the permalink.